We are in our THIRD week of the 100 Acts of Kindness Challenge! For our first week we were challenged to pick up litter. Last week Megan at Coffee Cups & Crayons challenged us to send Thank Yous to Park Rangers and other community workers, and this week we have a new challenge for you! The goal of the 100 Acts of Kindness challenge is to spread love and kindness in small ways, big ways, and simple ways. Our goal is to start teaching children from the youngest ages to look outward and be kind. A lot of major world problems could be solved by infusing more kindness. I don't believe that you can ever be too kind. 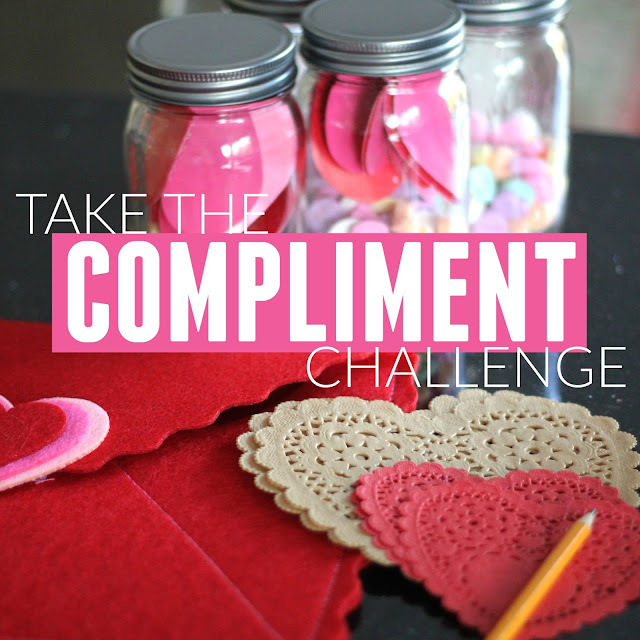 For our week three challenge we are issuing a COMPLIMENT CHALLENGE. This challenge can be adapted and tweaked based on your personal circumstances, creativity, and community! The goal for this week is to give 5 genuine compliments to 5 different people. These compliments can be written down, sent in a video message, posted on Instagram, drawn out, etc. Compliments can be a game changer for your attitude. Have you ever consciously given someone a compliment every day? It can completely change your relationship with them. Giving compliments takes your attention away from yourself and helps you focus on others. By thinking about a person deeply and sometimes even watching them a little bit more carefully, you are able to truly see someone's innate gifts and pieces of their personalities that you might miss if you aren't watching. Challenge your kids to watch one of their friends or their sibling... OR YOU! and LOOK for the good. When you look for the good, you find A LOT OF GOOD. 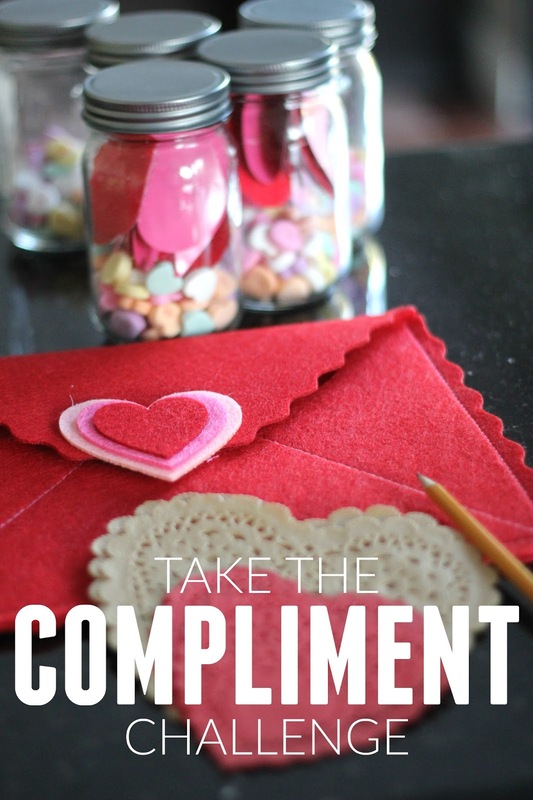 Compliments are a FREE way to show love, build relationships, and make people happier. In addition to giving out 5 free compliments, we also plan to make some compliment jars. Grab a mason jar and fill it with a few treats. Then write some nice compliments on some paper hearts and stuff them inside. Close up the jar... and VOILA! You have a compliment jar! You could also just skip the jars and write compliments on giant hearts to give out to friends, neighbors, teachers, etc. Did you try any of our other challenges? What has been your favorite act of kindness that you have done so far? If you haven't joined our 100 Acts of Kindness Community on Facebook yet, do it! There are so many amazing ideas shared in there every day!